Graviola is a type of flowering evergreen tree, that.s native to Central and South America. There are also some tropical locations in Africa where the Graviola grows. Indigenous populations refer to it as the sour sop or the custard apple. One of the most promising finds regarding Graviola is that it has been shown to effectively fight against cancerous cells. The effectiveness of using Graviola for cancer prevention has never been officially proven, nor is it accepted by the Food and Drug Administration in the treatment of cancer, but there have been promising studies showing that it may help in the fight against cancerous cells. More research is needed by the medical community. There are so many different health benefits associated with using Graviola that if you want to purchase Graviola you could find it in supplement form online or at your local drugstore. Its uses seem to be endless. In some areas of South America, the plant is used as a traditional remedy for digestive problems. 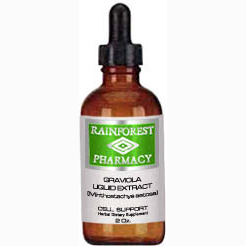 People that use Graviola will find that it has a calming effect on the entire body. It.s also been known to be a natural mood enhancer, helping to alleviate depression symptoms. The leaves of the Graviola tree are also given to people who are suffering from worms and certain parasites. It.s not a miracle drug, but it does offer hope in the treatment of such diseases. Of course, you shouldn.t use it in place of traditional medicines prescribed by your medical doctor, nor can you expect immediate results. However, it does offer encouraging insight for future medical uses. The roots, bark, and leaves of the tree have also been used in the Peruvian Amazon as a powerful sedative. Traditionally, it is often consumed as a tea and the calming effects follow. Graviola is also used effectively for antispasmodic treatment in Caribbean countries. In Guyana, a small sovereign state on the northern coast of South America, Graviola has been used to help treat certain heart conditions. Today, it is already used in some high blood pressure medications, as well as a remedy to help lessen the effects of rheumatoid arthritis. What.s more, it.s also widely used in the treatment against some parasites and the herpes virus. As of right now, large-scale research studies aren.t being done on the benefits of using Graviola. If there.s any proof in its health benefits, it.s in the hundreds of years of traditional medicinal usage of the Graviola tree. Traditionally, every part of the tree is used for some type of medicinal purpose or as a powerful healant. With this, developing countries cannot overlook its use as a popular medicine by the natives of South America, keeping them healthy for centuries. 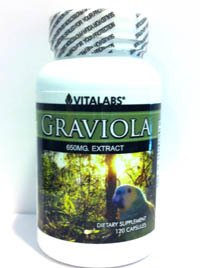 Throughout most of South America, Graviola has been used to help treat a large variety of illnesses and disorders. There are so many different health benefits associated with using Graviola. It.s one of the most flexible supplements on the market because it effectively treats such a variety of areas. Find out today if it is right for you. 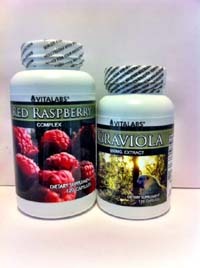 If you want to buy Graviola, it.s cost efficient, easily accessible, and, most importantly, effective. To find all of the benefits, visit your local drugstore or buy it online today. *The statements contained herein have not been evaluated by the Food and Drug Administration. The information contained on this web page is intended for education, entertainment and information purposes only. This information is not intended to be used to diagnose, prescribe or replace proper medical care. The plant described herein is not intended to treat, cure, diagnose, mitigate or prevent any disease.